When Derg took power from Emperor Haileslassie, Ethiopians were pampered with an endless propaganda that Ethiopians were freed from autocratic, oppressive system. Derg never realized how bad it had been then. In their eyes mind, they were the savior communist angels. Even after EPRDF has assumed power, it has taken after some Derg propagandas. I hear many people still talking derg, derg. In turn and now, Kinjit after losing the election by its own clumsy hands, it is prophesying that EPRDF is the worst creature, and it is like EPRDFs are not human at all. Kinjit is self-righteous. It is perfect. It has no mistakes at all. It will never make mistakes, not only now, but in the future. I am afraid, if Kinjit gets its way to Menelick palace; it will end up worse than Haileslassie, Derg, and EPRDF. When I was in South Africa, the good thing I have observed is that the political parties there do not compete by talk show. They do not insult each other. If one insults his or her political opponent, it is a crime and illegal. They will be charged for doing so. Democracy does not allow anyone to insult another one. In democracy one must respect the rights of others. One cannot talk about democracy and rob people their right and dignity by their tongues. Kinjit’s cultural song is insult, blame lame, and so forth. The political parties in South Africa do compete by performance. They do all run and implements community projects to win the heart and the minds of the ordinary people who cast the votes so that they can win the election. For instance there is a political party called DA, democratic alliance. It is a white party, mostly from the previous apartheid regime. Imagine, this is a reformed apartheid party. I am sure if it was in Ethiopia, EPRDF would not allow them to have a party. It is like allowing reformed Derg political party. It would be a miracle in Ethiopia if Dergists can be given chance to reform and have political party and have a second chance like the Aparthied party in South Africa. The DA party now goes out to the black communities and implements projects so that they can beat ANC. There is another political party called ID, independent democrat, the ID party is new, but getting very popular because ID works a lot with communities, implementing various projects. I do not know now, but while I was there ID was becoming more popular all of a sudden because its involvement with the community at a grass root level. This is how they compete in real democratic countries. In Ethiopia, we have a bunch so called PHDS who claim to know everything. They do not run any community based activities to win EPRDF. Their performance community based activity is insulting people like Hodam, Meles dictator, so and so forth. They do not have anything to show their performance capacity. They have no structure. The structure they have is only one which is the chapters to collect money and I do not know what they do with it. All they want is the office of the prime minister. From the EPRDF side, history has been repeating itself; they do have too much propaganda, not different from that of Mengistu Hailemariam. For instance, in the most recent interview with Tigray president, the regional president was asked how people felt about the new party in Tigray, he said, people in Tigray are sad. I do not totally understand why are people sad when Asrat Gebru stated that we are going to get back the economic and security interest of the country. Is he telling us the people in Tigray wanted to be landlocked? If that is the case, I have never come across any Ethiopian in general, and any Tigrean in particular who choose to be landlocked, not even a single person. 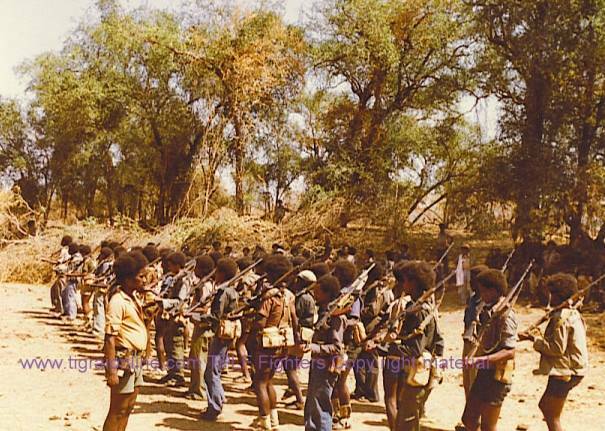 Why do these TPLF hard-cores still not understand? Must we hammer their head so that they can understand? This is really weird. Let us start something somewhere, let us create a dialogue, and let us let people talk face to face with no fear. Otherwise, people will never learn. We can see how kinjit diaspora behaves. Let us be brave and bring people together. Understanding each other is the key to solve our problems. Begging others to solve our problems will not solve our problem. Look the HR kinjit, most of these people are highly educated, but their idea of begging outside powers to solve Ethiopian problems is complete backwardness. If a face to face dialogue forum is being created we can hammer the head of these people so that they can understand. For that matter, it is not only the kinjits who need to be hammered. The hard-core TPLF also needs to be hammered so that they can understand the economic and security interest of Ethiopia. Let Meles reform his old ideas, and we will forgive him for his past. We need to go forward. Meles and his co need to listen to the people. Meles’s problem so far is that he does not accommodate the interest of the 80 million people. That is his main problem. He needs to learn from the past. He needs to change and do some personal level reform. Then we will not have problem. Then everyone will focus on work. Let transparency, justice, peace, love prevail in Ethiopia. Bring all the rebels to dialogue. It is only dialogue which allows Every Ethiopian to enjoy peace and prosperity. If there is peace among ourselves, the country has enough human resources and natural resources to embark a new history. Let the political parties stop talk show; let every party compete by its performance. They need to be trained to do their politics in a new way. I know it is difficult to teach people who claim they have PHD. These people needs to be trained, otherwise they will not do anything except creating havocs. Whether they are PHD or whatsoever, they need to show their skill to the people at the grass root level. Ethiopians cannot eat their PHD. My main message is that we need change from all sides so that we do not waste time on talk shows. If people have alternative better ideas, let them implement them.